Home Business Sell Your Blog: How Much is Your Blog Worth? Do you have a blog that you’d like to sell? Whether you’re creating new blogs for quick flips or you have an aged popular blog that you want to unload for whatever reason, you’ll need to have an idea of what your blog is worth before you look for buyers. Let’s talk about selling blogs and determining how much your blog might be worth to buyers, including the different types of buyers that might be interested, and how those buyer types can influence your blog’s perceived value. The investor — These are buyers who base their perceived value on current earnings. For example, I’ve seen offers in the 10-21 month range (purchase prices based on how much your blog earned in that time period). These are the people who want to buy existing money-makers to bring in longer-term income to let them profit on their initial purchase. The entrepreneur / marketer — These buyers are often more interested in what’s behind the blog than how much money it’s making. For example, I have a PR blog (now rebranded) that several PR firms wanted to purchase for substantial sums. That was despite the fact that the blog only made a few hundred dollars per month (it’s considered bad form in that industry to heavily monetize your blog featuring industry commentary, so value wouldn’t be based on that). People wanted the brand. In my case I wouldn’t part with it (and still won’t despite the rebranding), but you might have a golden branding nugget of your own. The enthusiast — I’ve found that these are usually the lower-budget buyers, and an ideal target market for quick-flip blogs that you set up and sell within a few days to a few weeks. They aren’t looking for a long-established blog. They more likely just want to get into blogging for themselves and don’t want to be bothered with the hassle of getting things set up in a niche. 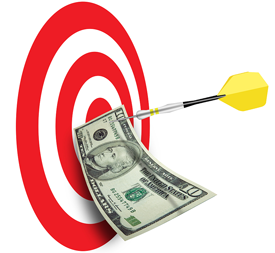 If you have a blog in a niche they can either write in or make money in, they’ll consider purchasing it from you. Now that you know more about three of the most common types of blog buyers, let’s talk about determining your blog’s worth and how these buyer types can influence your selling price. What is Your Blog Really Worth? 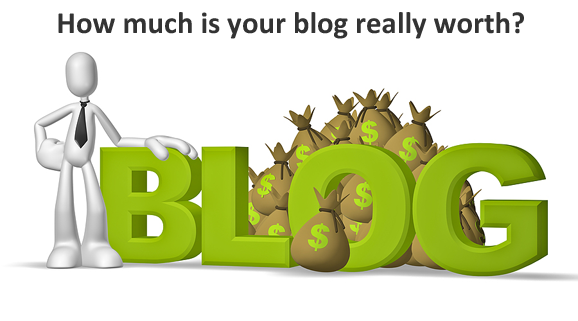 You’ll find all kinds of blog value calculators online. You’ll also find that they can give drastically different results. I personally recommend forgetting about all of them. They can’t account for the most important thing — your target market. The PR blog I mentioned before would be worth no more than a few thousand dollars to most buyers in the investor category because that would be value based on existing income. A simple enthusiast couldn’t afford the specialized expert blog content, nonetheless the strong branding. In that case it was the entrepreneur / marketer type of buyer who would find the most value in the blog, hence the high five figure offers I received. So if I ever decide to sell, I know to target this particular market because they have the highest perceived value of the blog. I also mentioned that I used to flip new blogs. In that case I knew the site didn’t have the long income history investors would look for or an established brand that would appeal to entrepreneurs and marketers. So I knew these sites would be sold for little (a few hundred to the $1000-2000 range at the absolute most). But because I knew that, I could invest my time accordingly — spending only as much time as the selling price would justify. Being a professional writer and specialist in the high-income business niche, I was also able to charge a slight premium based on the unique content I included. You could include other value-added elements (like professional SEO work) if you wanted to increase your blog’s perceived value to this market. If you had a blog that earned a few thousand dollars every month religiously, you would probably want to target the investor buyer group (unless the brand was so strong that you could sell it for far more than two years or so worth or income within another market). No one can put a magic number on your blog to determine its value — not even appraisers (who are more focused on the investor type of buyer). That’s because every buyer’s motivation is different. To price your blog properly you need to think of it almost as if you were selling products or services to regular customers. Do some market research and then market your site just like you would market anything else. By all means go into it with a minimum sell price in mind — where you’ll keep the blog until you get an offer of at least that much. Just don’t assume that others will value your blog in the same ways that you do, and try to take some time to understand how they form a perceived value of your blog. Once you do that you’ll be able to scout the perfect buyers and get a fair price that suits both of you well. Have you sold blogs before? Tell us how you placed a value on it and how you convinced the buyer of that value in the comments below. Employees vs Independent Contractors: Do You Cross a Line? I found http://www.websitestatz.com recently. You should try.